One of the most common headaches that business owners and freelancers face is getting compensated for your completed work. Even worse, to get paid faster. I mean, you delivered your end-of-the-bargain. You’ve done the work, so your client should do the same. Unfortunately, that’s not always the case for most business owners. Sometimes your clients need a little nudge. 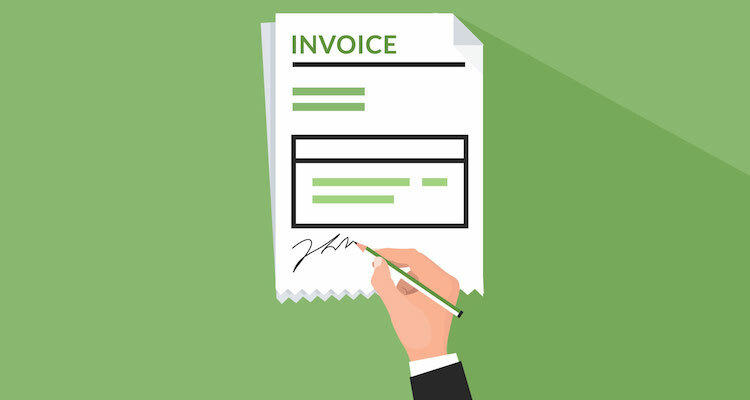 So, why not give them a hand by implementing these eight invoicing tips? They’re guaranteed to get you paid faster. 1. Do away with snail mail. The days of sending paper invoices are gone. Heck. Even the days of creating invoices using a spreadsheet and emailing bills to clients are over. Today platforms like Due allow you to quickly create and send invoices electronically – even your mobile device. This means that you can send and manage all of your invoices whenever and wherever you are. Best of all? Payments are processed in under two business days. While all invoices have the same goal, putting money in your bank account, not all invoice designs are created equal. A poorly designed invoice can cause payment delays because they can be confusing. For example, how can a client differentiate your invoice from another freelancer or business or understand exactly what they’re being charged for. This avoids any misunderstanding and reflects your professionalism. And, you may even be able to attract new clients or future work by marketing additional products or services that you offer. Do you have clients that are billed the same amount each month because of ongoing projects, retainer relationships, or subscription service? You can automate the invoice process with monthly recurring invoices. It only takes a couple of minutes to set-up and you’re guaranteed to be paid each month since funds are withdrawn from the client’s bank account or credit card automatically, as opposed to creating and sending invoices for the same amount each month. Even if you don’t have recurring payments, platforms like Due will automatically send payment reminders when an invoice due date is approaching or past due. 4. Give your customers/clients some control. Most small businesses and freelancers set their payments without considering the preferred payment method or billing cycles of their customers and clients. But, if you find out the preferred payment method, timing of the payment (upfront, immediately following a project/sale, during their billing cycle), and flexibility of the payment (recurring, payment plan), you’re making it easier for your clients to pay you when they receive an invoice. The easier that your client can pay your invoice, the faster they’ll authorize a payment. 5. Shorten your policy terms. If you wait too long time between the completion of a project and receiving a payment, then the longer it’s going to take for you to get paid. For example, if you give your clients 45 days to pay an invoice, and the customer makes the payment two weeks later, then you’ve been waiting to get paid for two months! Shorten your payment terms to 30 days or less so that you’re getting money into your account more quickly. Just make sure that you discuss these terms with your client during the negotiation process of a project so that they’re not caught-off-guard. 6. The carrot & the stick. Even if you’ve followed invoicing best practices, there will be times when a client simply doesn’t have the money to pay you – or just waits until the last minute. Instead of losing your cool, have a strategy in place that will entice the client to pay your invoice on-time. For the carrot, offer some sort of incentive to pay the invoice, such as a discount off the total amount of the invoice if paid early. For the stick, implement late penalty fees if the invoice goes past the due date. It may be a small percentage or flat fee at first, but if it continues to increase each month, the client should be motivated to prevent this from happening by paying the bill on time. If those tactics don’t work, consider offering a payment plan. You may receive a smaller payment each month, but it’s better than nothing. 7. Make prepayments a part of your business. Why wait until a due date to get paid? Require upfront payments prior to working with the client. It’s actually common practice for freelancers to ask for 50% in advance, 25% midway, and 25% when the project is completed. Upfront payments keeps your cash flow positive, covers any out-of-pocket expenses, and prevents the client from completely bailing on a payment. Numbering your invoices makes it easier for you to organize and manage your invoices. Now you can quickly see which invoices have been paid and which haven’t. They even come in handy if you ever have the unpleasant experience of dealing with an IRS audit. However, instead of starting with the standard “001,” start with something higher, like “0056.” It may not seem like a big deal, but it illustrates to your clients that you not inexperience, just starting out, or unprofessional, which means that they’re not going to just ignore your invoice when it arrives.